Zitter - The Vultureistic Beak N' Roll Machine! The Just push rec-series @ YouTube documents the recordings of droppeD! See the videos from Still Alive but in a Different Way @ YouTube! 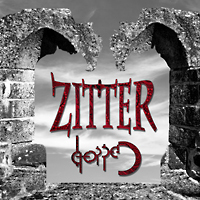 Zitter's now on Instagram as Zitter_music. Connect! ZITTER - THE VULTUREISTIC BEAK N' ROLL MACHINE - NOT THE SECOND BEST BAND IN THE WORLD!